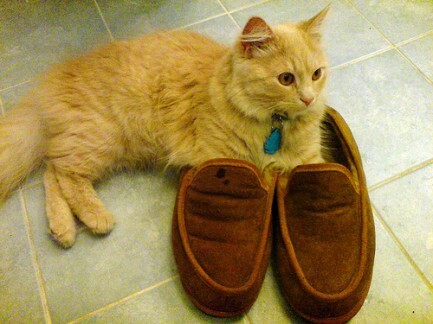 It’s November and My Feet Are Cold…Slipper Time! I have a bit of a problem with slippers, in that I have a lot of them — or at least, I usually do. This winter I may actually have to buy myself a new pair. My sock-monkey slippers are finally ready to depart this mortal coil, after a few years of use. I’ve lost one of the slippers in the pair knit for me by one of my many great aunts — you know the ones, using yarn colours that never really match. And another pair with rubber soles met an unfortunate end at the hands (well, the teeth) of our cat Willy last year. 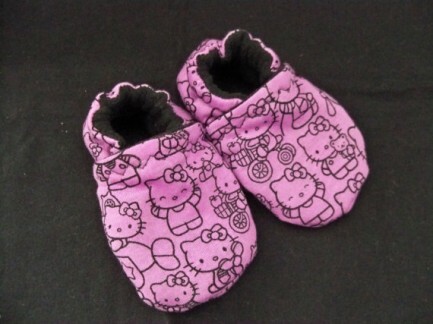 So if I’m going to buy new slippers, they might as well be adorable, right? And what is more adorable than cats? 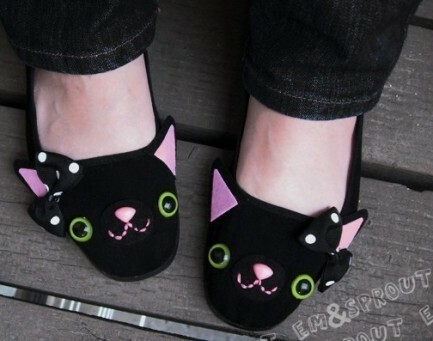 Behold, the melding of two of my favourite things: kitties and warm feet. 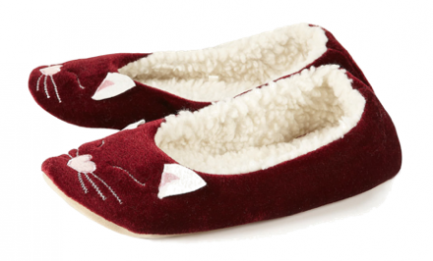 These stylish burgundy slippers from Topshop are a great choice for the fashionista in your life. 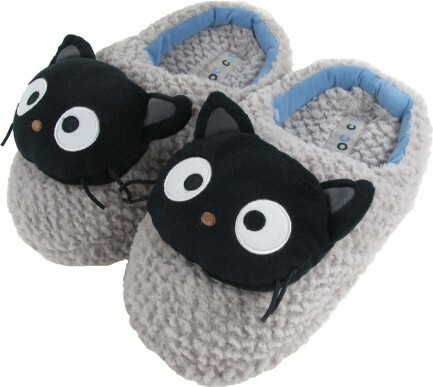 Go the licensed route with these Chococat slip-ons. Okay fine, these are shoes. Don’t tell me they’re not adorable! We can’t leave the kiddos out of the fun! Or Hello Kitty, for that matter. 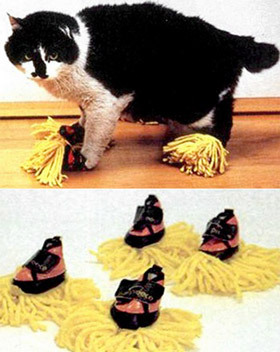 And while you’re picking out some cat slippers, don’t forget to also get some slippers for your cat. It’s about time they started pulling their weight around the house, frankly.